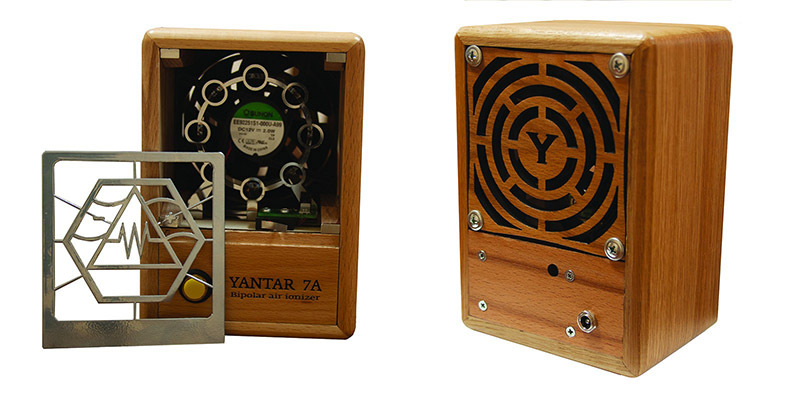 Bipolar air ionizer Yantar-7A is made entirely of solid wood (body and frame). Removable front cell with neodymium magnets for easy cleaning electrodes. The new design of the discharge electrodes made of stainless steel. Bipolar ionizer Yantar-7A should be installed within 2-4 meters from the person. It produces air ions of both polarities, which help to compensate for their deficiency in the breathing area. To place an order for the bipolar ionizer Yantar'-7A, please fill in the on-line form.